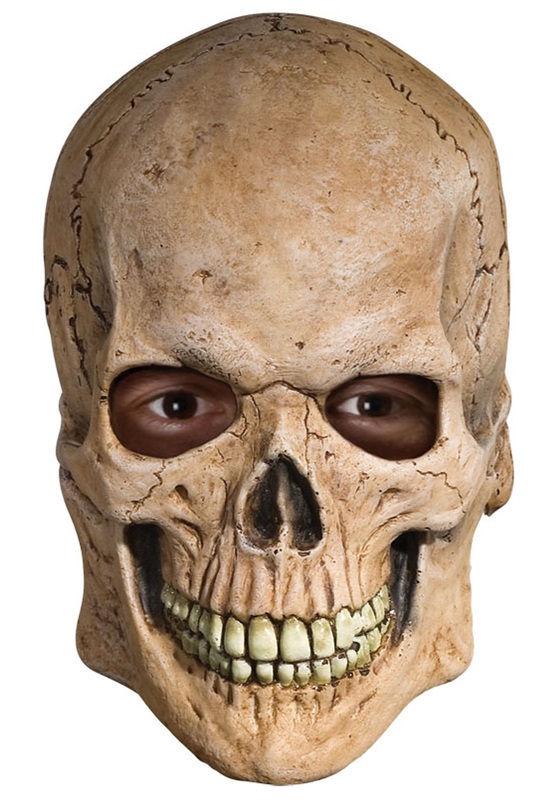 Our Skull Mask is a very versatile jumping off point for a variety of costume ideas. You could be any number of fictional characters, an undead person in general, or even jolly old Death himself! This detailed latex mask is rife with simulated cracks and dents. We included plenty of breathing holes too, because you wouldn’t want to be caught dead suffocating in a mask like this. Comfortable,quality latex mask.One size fits all with room for cranial padding to form fit for individual head size. I particularly like this feature ,as it makes it easy to get an ideal fit.